My brother and I made a trip to Louisiana a few years ago to visit a couple of places we hadn't been to before. 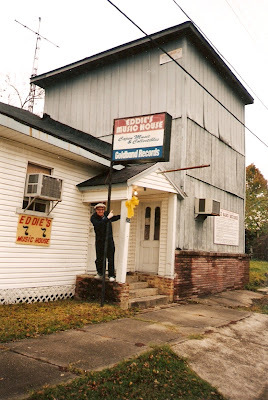 First up was a stop in Lake Charles, LA, to find Eddie Shuler's Goldband Records. Eddie was dead by this time and there was a "do not disturb the residence" sign so we were only able to take a picture of the outside of the place. After that we continued on to Crowley to visit JD Miller's son, Mark. We stopped by his CD shop and started chatting with him. Once he figured out why we were there (and that we were musicians who appreciated his dad's recordings), he took us upstairs and let us look through a room full of records. There was a small room off to the side filled with the original master tapes of artists like Slim Harpo, Larry Brasso, Pee Wee Trahan, etc! 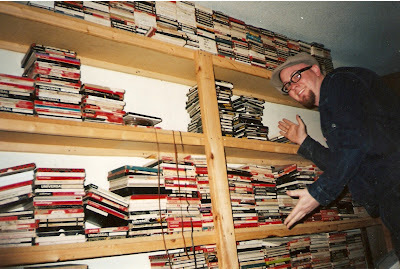 The room wasn't air conditioned and the tapes weren't stored properly. But according to Mark, "a guy" from Europe already went through and made digital files of all the tapes to preserve them.